> Research Library > KPMG > How do your investment priorities compare with CIOs worldwide? 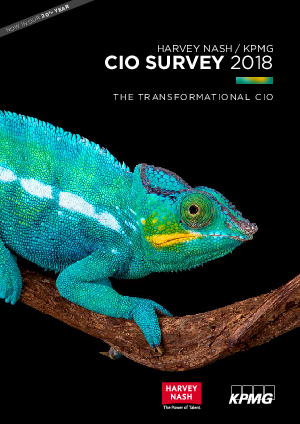 The 2018 Harvey Nash/KPMG CIO Survey – the largest IT leadership survey in the world – shows how CIOs are benefiting from bigger budgets and headcount growth, following years of focus on cutting costs. • how smart CIO are managing their resources to get the skills they need.